Packed with herbal nutrients like AHAs and antioxidants, Himalaya Moisturizing Cucumber Peel-Off Mask peels away dead skin cells and rejuvenates facial skin. Enriched with Cucumber and Almond, this formulation cools, moisturizes, tones and firms facial skin. Cucumber contains an enzyme that helps keep facial skin soft and has a healing and soothing effect on damaged skin. It acts as a toner and lightens facial skin. The abundant antioxidants in Cucumber rejuvenate the skin, making it soft and smooth. Almond has soothing and softening properties. It also moisturizes and cleanses the skin. Turmeric is a herb that has antiseptic and strong anti-inflammatory properties which soothe skin gently, making skin soft and supple. 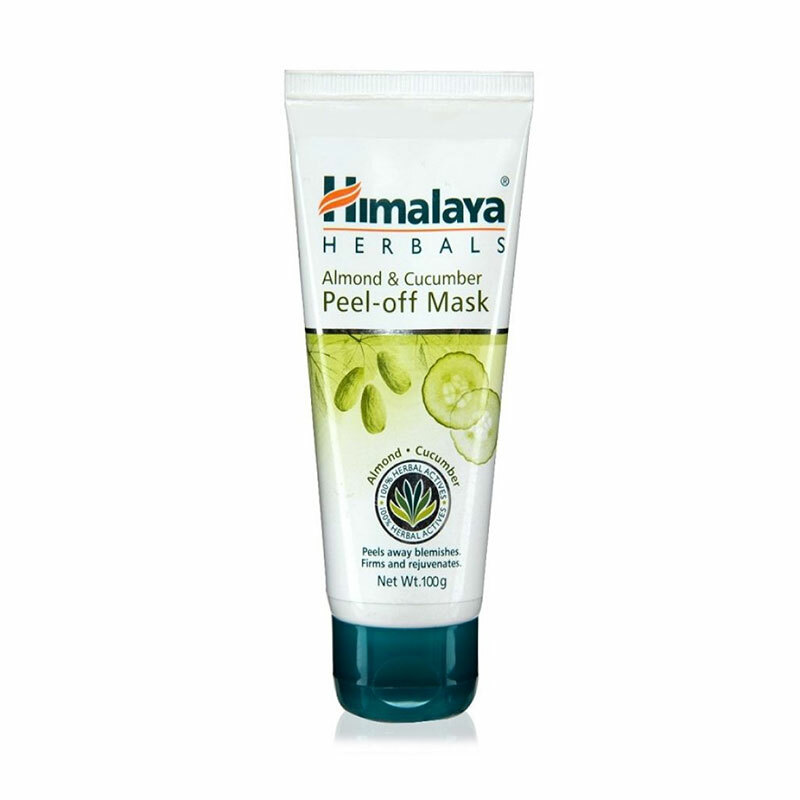 Apply Himalaya Moisturizing Cucumber Peel-Off Mask evenly over cleansed face and neck, avoiding the area around the eyes. Allow the mask to dry for 10-15 minutes. Gently remove the peel from the side of the face. Use once or twice a week, based on skin type. Do not apply on broken or inflamed skin. For best results, follow a regimen using Moisturizing Aloe Vera Face Wash, Gentle Exfoliating Apricot Scrub and Moisturizing Cucumber Peel-Off Mask. A patch test is recommended before using on the face for the first time. Apply the mask in a 2x2 cm area on the inside of the hand below the wrist 24 hours before facial application. Follow the directions for use to ensure skin tolerance.